Here we document our recent weeks holiday in Hayle, Cornwall. 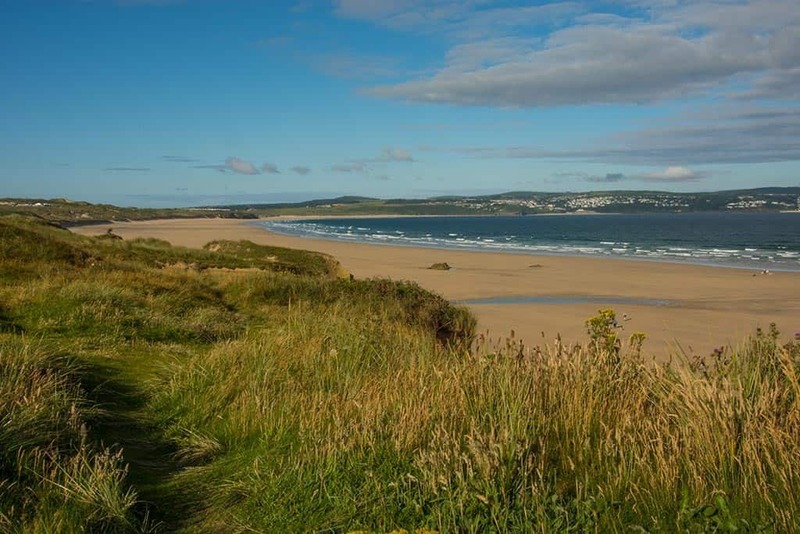 Two families renting a 4 bedroom self-catering holiday house on the Hayle beach. After experiencing bad journeys in the past we set off from Buckinghamshire at 3 am and had a good journey arriving in St Ives at 07:30. 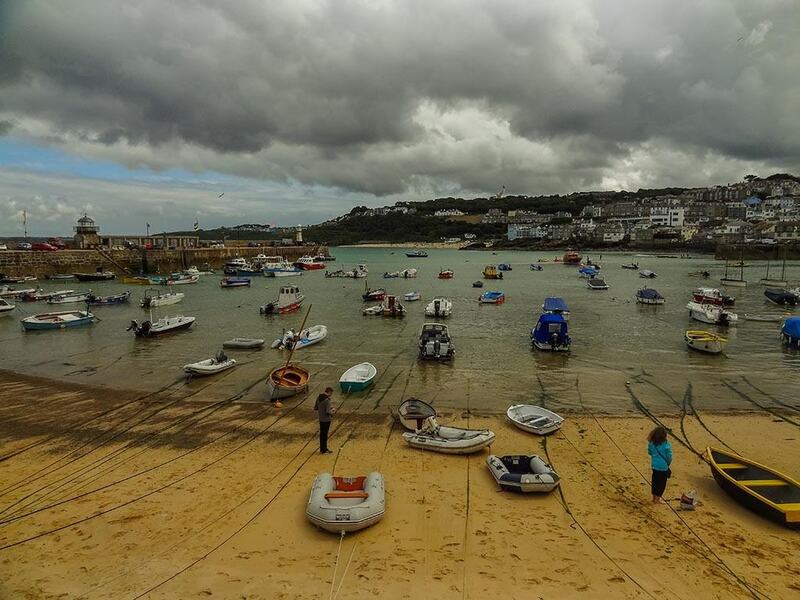 After a walk around a full English breakfast on the harbour (St Ives Harbour picture above) front, we headed off to the beach. St Ives has a number of beach options and we settled for the centre of town Blue flag beach of Porthmoer just by the Tate St Ives. The day was very sunny and hot and after a late lunch of Cornish pasty we collected our keys and headed over to Hayle and our base for the week, just above Black Cliff beach. After a long day on Saturday and that realisation of being away from work this was a pure lazy day at the house and on Black Cliff beach (Black Cliff beach above). The most energy expended was a session of bodyboarding in the gentle waves. 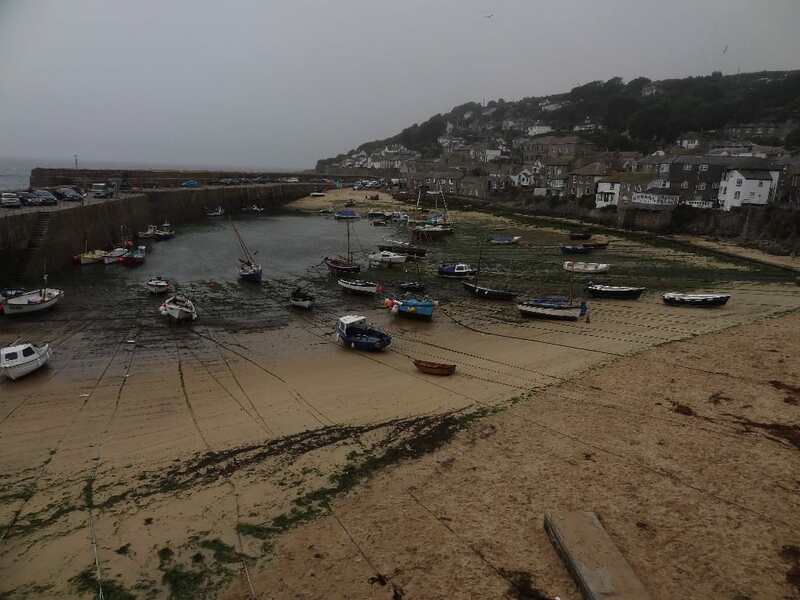 The morning was a visit to Mousehole (Mousehole Harbour above) It was not hot enough to test the outdoor rock pool so just a look around the narrow streets and shops. A pasty lunch marked the end of the trip. The afternoon was a bodyboarding session in some good waves on Hayle beaches. The evening we headed into St Ives on the park and ride train that took the hassle out of finding parking spaces. A nice evening browsing the shops and galleries followed by an excellent meal at @hubstives. The day didn’t look good so a morning visit to Porthleven followed by an afternoon on the beach. You can see from the video that the weather was not good. After a damp Tuesday we have a very sunny day and so this was a full day on the beach bodyboarding. 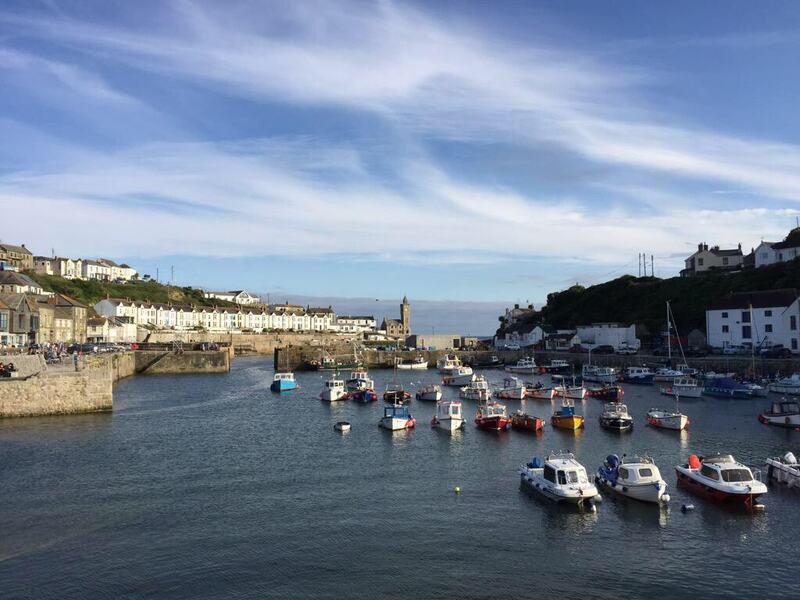 In the evening we returned to Porthleven (Porthleven harbour above) to get an idea as to what it is like in nice weather. See the picture to the right as a contrast to the video above. A warm overcast day. 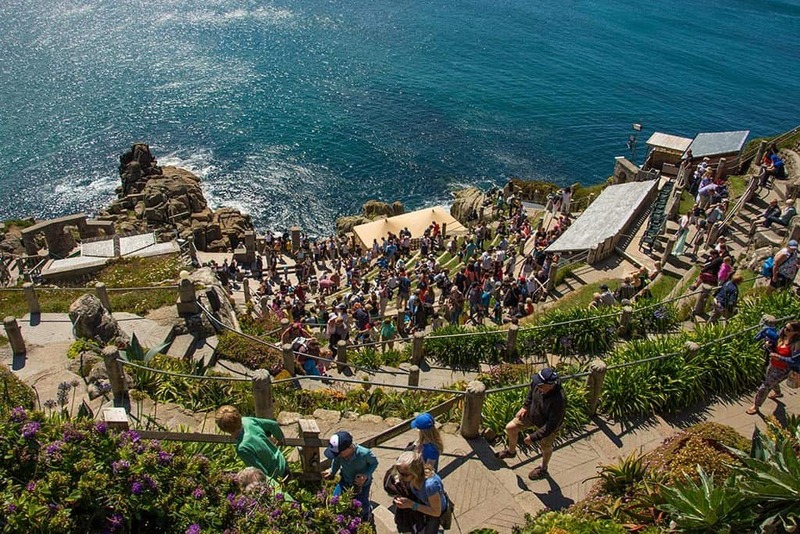 The morning we visited Minack Theatre and St Michaels Mount. Minack Theatre (pictured above) is an open-air theatre hanging on the side of cliffs with some spectacular views, although it was a little sea misty on our visit. 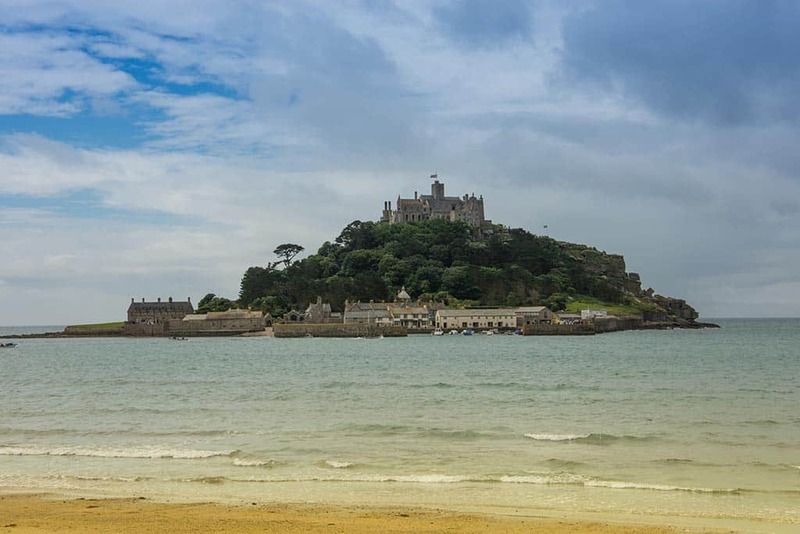 St Michaels Mount (see picture below) was a boat trip as the tides meant the causeway was not accessible. Well worth a visit as it is unique and unspoilt over the years. The afternoon was spent on the beach and in the garden. Late afternoon train into St Ives for a wander around the shops and evening meal. An end to a very enjoyable week in Cornwall. 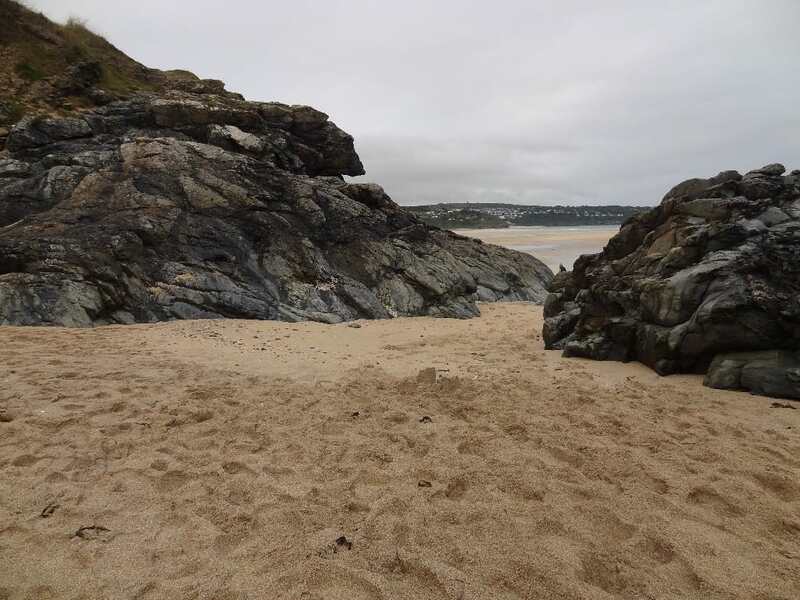 We do really recommend the St Ives and Hayle area as a base location providing great beaches and access to so many nice Cornish places to visit. Lots of accommodation options from self-catering houses, holiday parks or B&Bs. Check out our beach pages for information on locations and our youtube channel for some videos taken during the week. The next big question is where to next?